Every week, policymakers are asked to set priorities and approve programs for improving health. These are tough decisions. Policymakers could make better decisions if they had more data on the costs and impact of various health programs or strategies. The good news is that in oral health, more information is starting to surface. One example is a study conducted in 2012 that modeled six strategies for reducing the rate of Early Childhood Caries (ECC) — tooth decay in children ages 0-5 — with the goal of comparing their benefits and costs. These strategies included: applying fluorides, limiting the transmission of decay-causing bacteria from mothers to children, using xylitol directly with children, clinical treatment, motivational interviewing, and combinations of these. The model utilized System Dynamics methods to project 10-year benefits and costs for each strategy. And the differences were significant. Costs for each approach to preventing ECCs ranged from only $6 million to $245 million. The reductions in the rate of cavities ranged from none to 79.1% from the baseline. Approaches targeting the youngest children take 2 to 4 years longer to affect the entire population of preschool-age children but ultimately exert a greater benefit in reducing ECC. More significantly, strategies targeting the highest-risk children provide the greatest return on investment, and combined approaches that target ECC at several stages of its natural history have the greatest potential for cavity reduction. 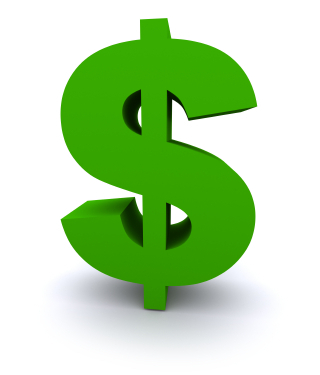 Some strategies save more in dental repair than their cost; all produce substantial reductions in treatment costs. By using data relevant to any geographic area, this system model can provide policy makers with information to maximize the return on public health and clinical care investments. This study was funded through a CDC Cooperative Agreement with the Children’s Dental Health Project and a HRSA MCHB TOHS grant to the Colorado Department of Public Health and Environment. Authors are: Gary B. Hirsch, SM; Burton L. Edelstein, DDS, MPH; Marcy Frosh, JD; Theresa Anselmo, MPH, BSDH, RDH. Read the full article published in the CDC journal Preventing Chronic Disease.